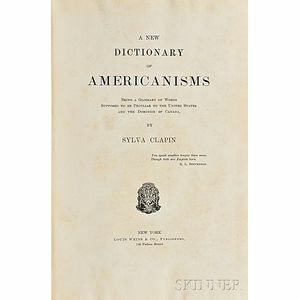 Clapin, Sylva (1853-1928) A New Dictionary of Americanisms. 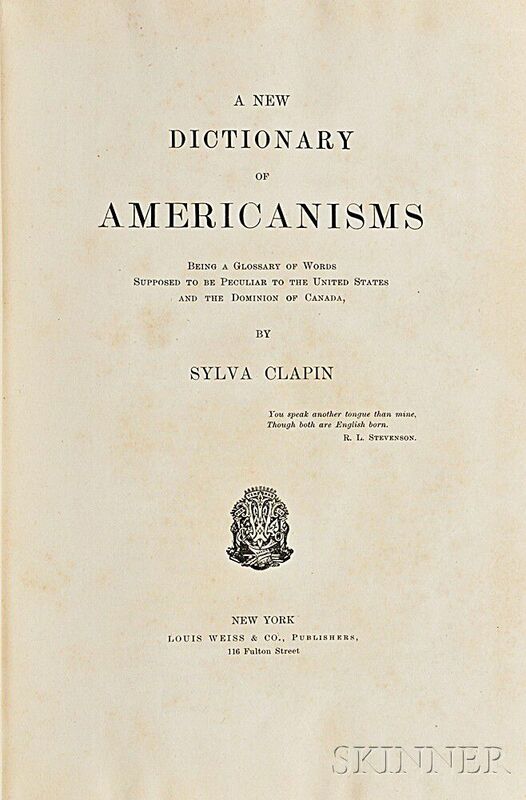 Clapin, Sylva (1853-1928) A New Dictionary of Americanisms. New York: Louis Weiss & Co., [1902?]. First edition, large octavo, bound in publisher's dark brown morocco spine, lettered in gilt and blind-tooled, red buckram boards, t.e.g., 8 3/4 x 5 3/4 in. 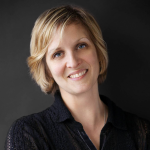 Clapin was a Canadian bookseller and linguist with a special interest in the way languages in the New World developed independent of their European roots. This dictionary includes much of amusement and interest, for example, "Choke off. To forcibly obstruct or stop a person in the execution of a purpose. A slang and figurative expression, borrowed from the act of choking a dog to make him loose his hold," and "Scoot. In parts of New England, to move or run away swiftly. To slide or glide; to dart. No idea of running away, and by no means limited to persons." Clapin includes French Canadian, and Southern terms, and those used in African American communities. Provenance: the collection of Percy MacKaye (1875-1956), by descent to Marion MacKaye Ober.